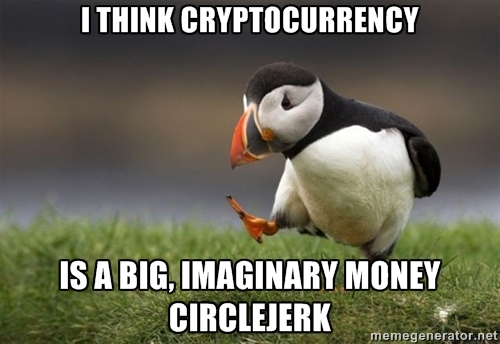 Unpopular Opinion Puffin meme. Image Source: Meme Generator. 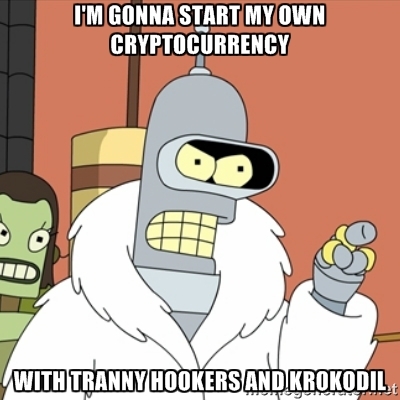 Meme pushing NEM (coin of the New Economy Movement). Image Source: imgflip. The 'triangle' joke above might refer to pyramid schemes or possibly Internet Illuminati tropes. Image Source: Daily Tech. 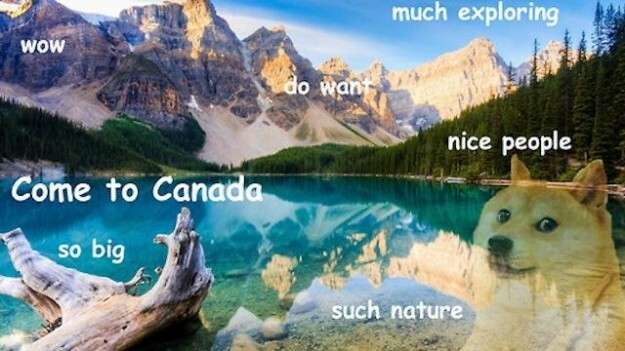 To start in the most improbable place, can a currency be built on an Internet meme? Yes, yes it can: Dogecoin. 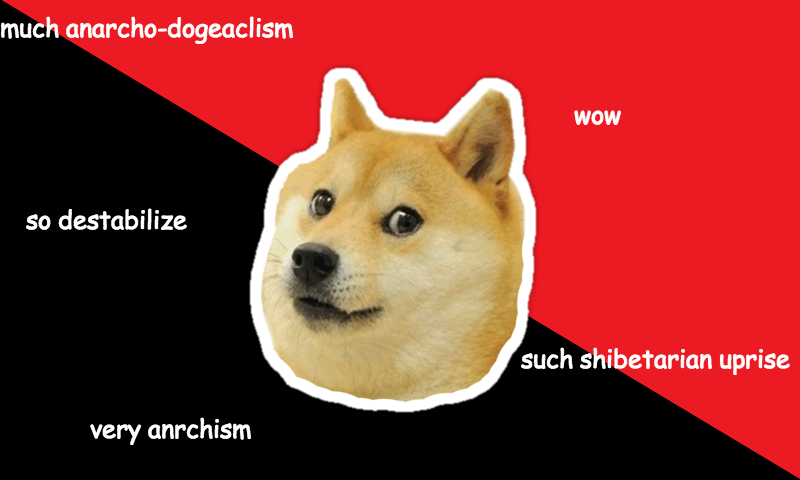 The founding of Dogecoin was a farce. Australia-based graphic designer/marketer Jackson Palmer tweeted a joke - he used the preexisting Doge meme to spoof Bitcoin. 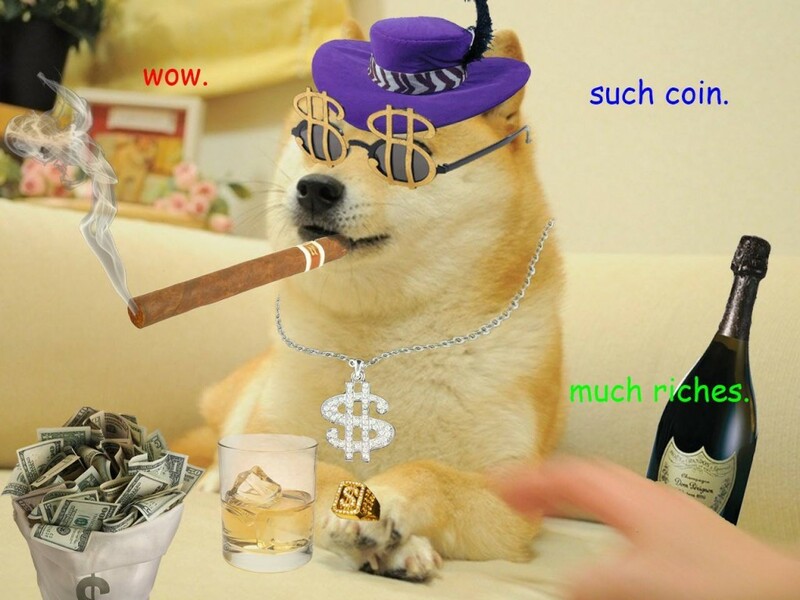 When the joke gained attention, he created the Dogecoin cryptocurrency (DOGE) with co-founder Billy Markus. It was introduced on 8 December 2013. Memes were first defined by evolutionary biologist Richard Dawkins in his book, The Selfish Gene (1976), in which he wrote that "all life evolves by the differential survival of replicating entities." Image Source: Horselover Phat's Subliminal-Synchro-Sphere. On memes, from Horselover Phat's Subliminal-Synchro-Sphere, where the blogger there reiterates Dawkins's theory that memes are a meta-linguistic operation in the brain which actually transforms the course of evolution by influencing people toward certain environments: "Examples of memes are tunes, ideas, catch-phrases, clothes fashions, ways of making pots or of building arches. 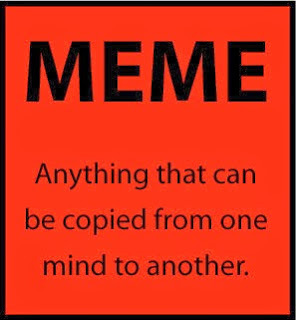 Just as genes propagate themselves in the gene pool by leaping from body to body via sperms or eggs, so memes propagate themselves in the meme pool by leaping from brain to brain via a process which, in the broad sense can be called imitation. If a scientist hears, or reads about, a good idea, he passes it on to his colleagues and students. He mentions it in his articles and his lectures. If the idea catches on, in can be said to propagate itself, spreading from brain to brain. Additionally, [Susan] Blackmore says, regarding memes that: 'the human language faculty primarily provided a selective advantage to memes, not genes. The memes then changed the environment where genes were selected, and so forced them to build better and better meme spreading apparatus. In other words, the function of language is to spread memes.'" The Dogecoin meme, with its pidgin laughs about getting rich quickly, went viral, giving it "'the Internet density of a large star' according to Medium writer Quinn Norton." How do you pronounce 'doge'? The jury is out. Some say 'dogue' to rhyme with vogue; some say 'dough-gee' or 'doggy' (hard 'g') to refer to the dog in the meme; or some say 'dohj' with a soft 'g.' Overnight, DOGE became the little cryptocurrency that could, had none of bitcoin's shady dealings, and was all about building a value that could go To The Moon! 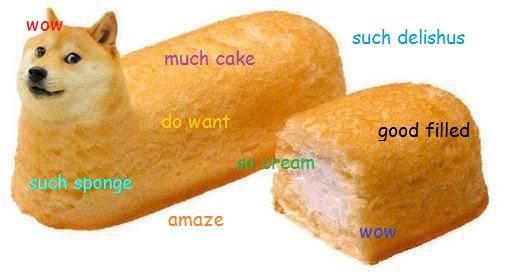 The examples here are of the Doge meme alone and later, as a Dogecoin meme. 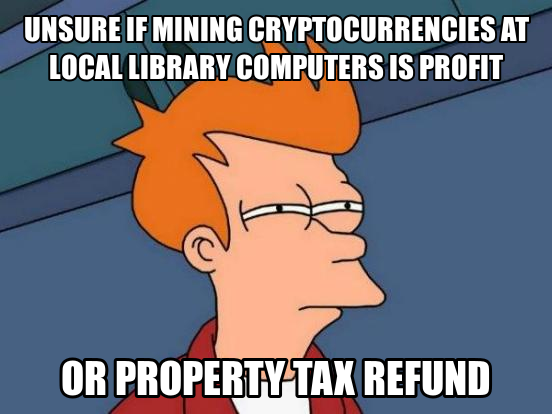 The latter plays to potential investors. But it also parodies the very people who support cryptos; that is, Gen Y hipsters, people with delusions about getting rich quickly and living the good life, anarcho-libertarians, and people who want 'cake,' which could allude to any substance your heart desires. 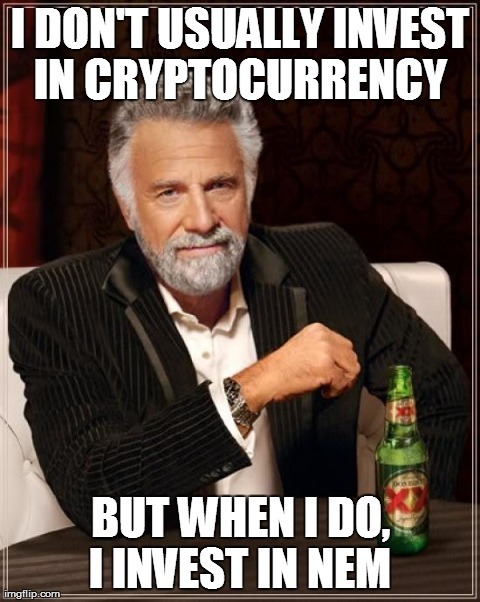 The Doge meme as marketing spoofs itself and its cryptocoin competition. The meme made the currency skyrocket in value. Dogecoin cryptocurrency supported the Jamaican bobsled team so they could attend the 2014 Winter Olympics. Can this geeky idiocy be worth something? 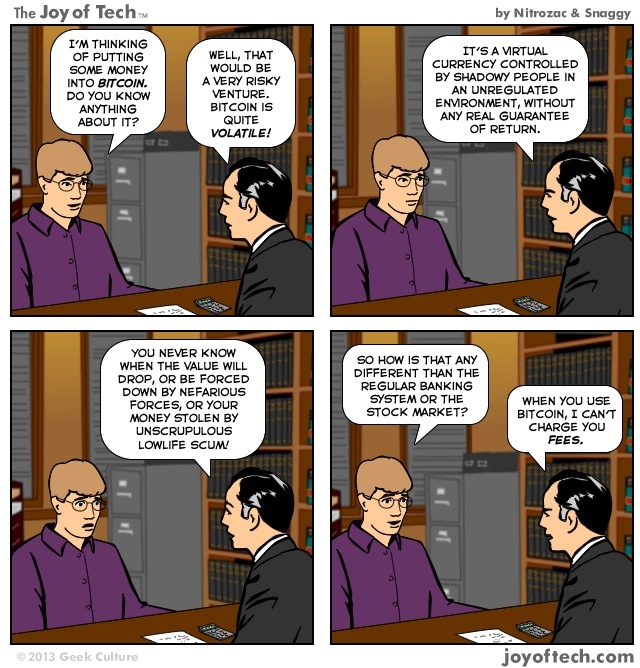 Yes, because cryptos prove that a currency's viability depends first and foremost on collective belief, even before trust. The appeal is understandable, after years of economic gloom and doom and all the talk of hopeless futures. 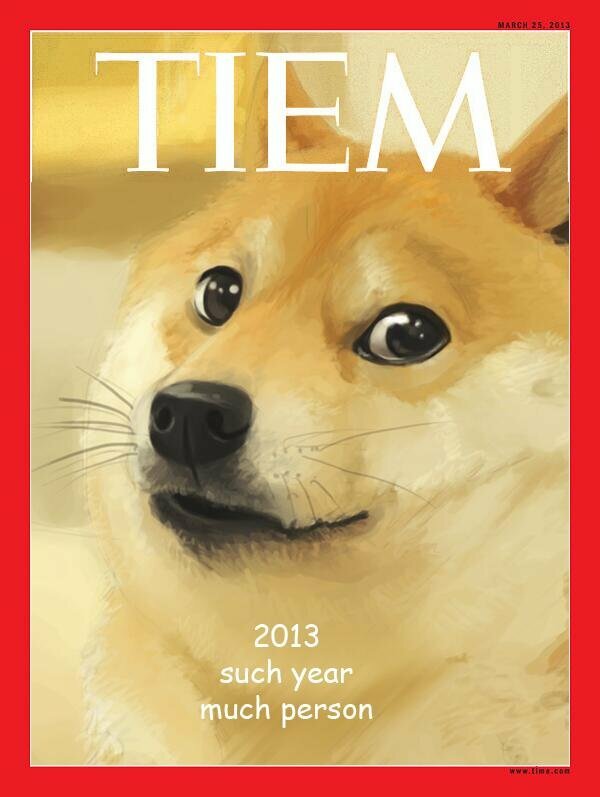 DOGE creates a happy, dumb, cute image that younger people want to believe in. So their monetary mascot isn't the Queen, or some dead president - it's a post-Postmodern meme of a Japanese kindergarten teacher's dog sitting on her couch. 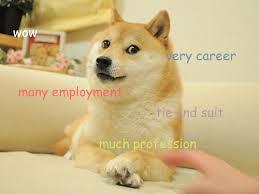 DOGE wasn't pre-planned; it was a one-off by its creators, which perversely added to its credibility. 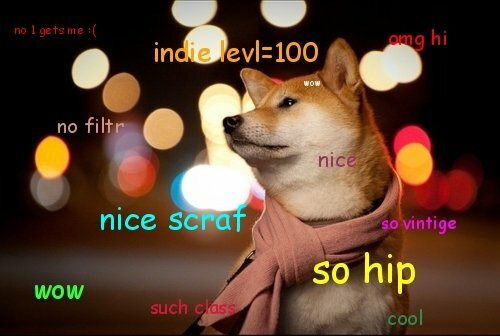 Part of DOGE's charm is that it aims at the Internet's universal mental age of 12. It turns out that everyone's inner 12-year-old wants to get rich, too. Never mind that the message it presents potentially constitutes a profound campaign of disinformation. The video ends with the address of the video creator's DOGE wallet for tips. Video Source: Youtube. Know Your Meme: "On February 23rd, 2010, Japanese kindergarten teacher Atsuko Sato posted several photos of her rescue-adopted Shiba Inu dog Kabosu to her personal blog. Among the photos included a peculiar shot of Kabosu sitting on a couch while glaring sideways at the camera with raised eyebrows." By a fluke on the Internet, Kabosu is now an international star and financial icon. Image Source: Latin Post. 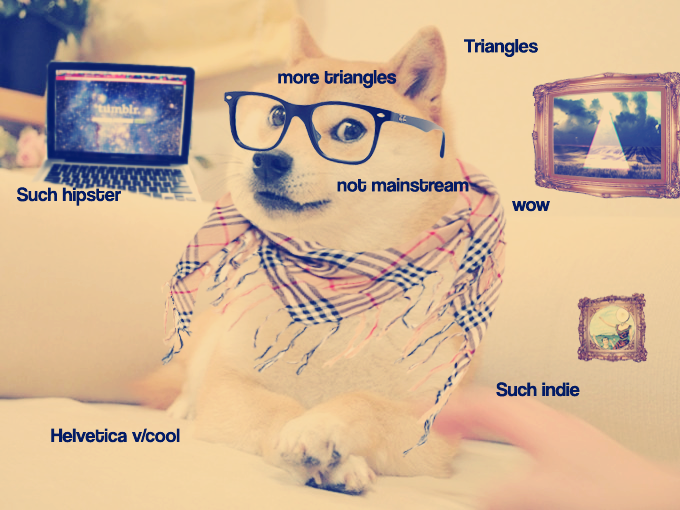 Hipster Dogecoin. Image Source: Metro.